Goss Communications offers solutions to build your network infrastructure, but network cabling is the most reliable and suited to data and voice business needs. Many times this requires wiring your premises with new cable, but there are times existing infrastructure can be reused to add additional equipment. 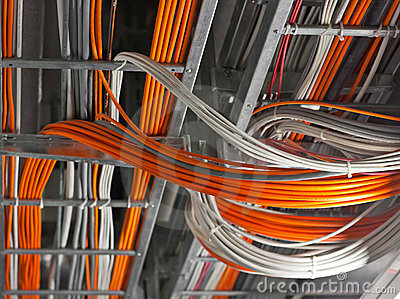 Cabling is important to maintain data and voice connections throughout your facility, so testing and rewiring old or existing infrastructure may be necessary if the old infrastructure is found to inadequate. Cabling new infrastructure on a new facility or adding more cables to an existing building infrastructure can be handled Goss Communications, so call us for a quote for your business.